The history of glass blowing has its beginning somewhere in the 1st century BC. Then the art grew increasingly through the centuries that followed. In the beginning, glass blowing was done for producing utility articles. 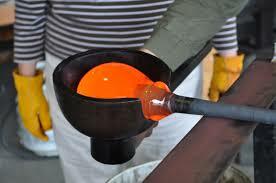 Throughout the time of the Roman supremacy, the glass blowers made mainly tabl e ware, bottles, and vases. 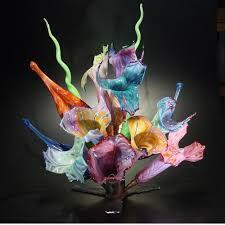 But from the time the Murano glass industry flourished, glass blowing grew into other dimensions. It began to acquire the characteristics of an art. and Art schools have included glass blowing in their curriculum. 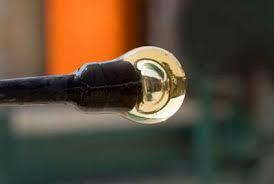 Many people take up glass blowing as a career on account of the great demand for glass blowers in various industries. They are often referred to as scientific blowers. But there are a lot others who consider it as a creative art. 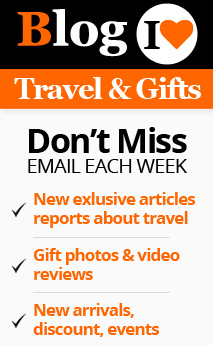 They create blown glass articles for museums and their own art galleries. The main component of glass is silica. Silica or sand is melted in a furnace at about 2000o Fahrenheit. This molten silica is liquid glass. This is then taken at the tip of a blow pipe and the blower slowly blows into it producing a blob. This blob is then shaped using various tools or using a mold. Usually the glass blower takes the help of an assistant to do this. 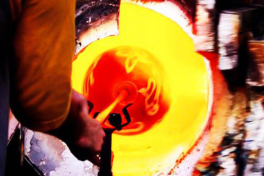 If you aspire to master the art of making blown glass, the first thing you have to do is to go through the history of glass blowing, as it will give you an idea about exotic nature of the art. Before actually starting on the training as a glass blower you should go into the details of the concept of glass blowing, understanding the process well and know how glass behaves under different temperatures. The next step is to familiarise yourself with coloring of glass and various glass designs. If you want to start training as a glass blower, you should understand that the activity is done under extremely hot environment and so must be prepared to bear with the unbearably hot ambience. B efore starting the training, the one thing you should realize is that it is a difficult art, which takes an awfully long time to be perfect in it. This means, you should be prepared to put up with a frustratingly long period of training and honing, before you can be called an expert blown glass maker. You should possess a high level of patience to master the art by perfecting each step before going forward. If you think you are up to it, then you can start your training either with a formal art school or by joining a glass maestro as an apprentice. In the opinion of many expert glass artists, formal class room teaching is not what is wanted in the training of blown glass. What is effective is the hands-on training in glass blowing, which is traditionally acquired by the trainees by joining a skilled glass master. 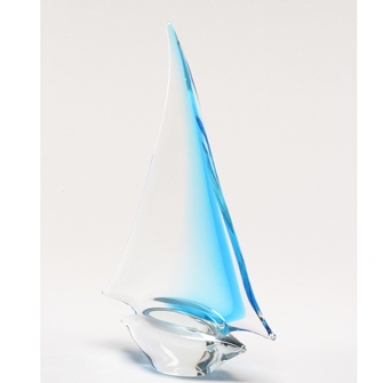 For all the difficulties you have to face while training to be a blown glass maker, this is a rare and exotic art that is worthy of mastering in spite of all the difficulties in the process.